“Gate made from the end of an old bed. 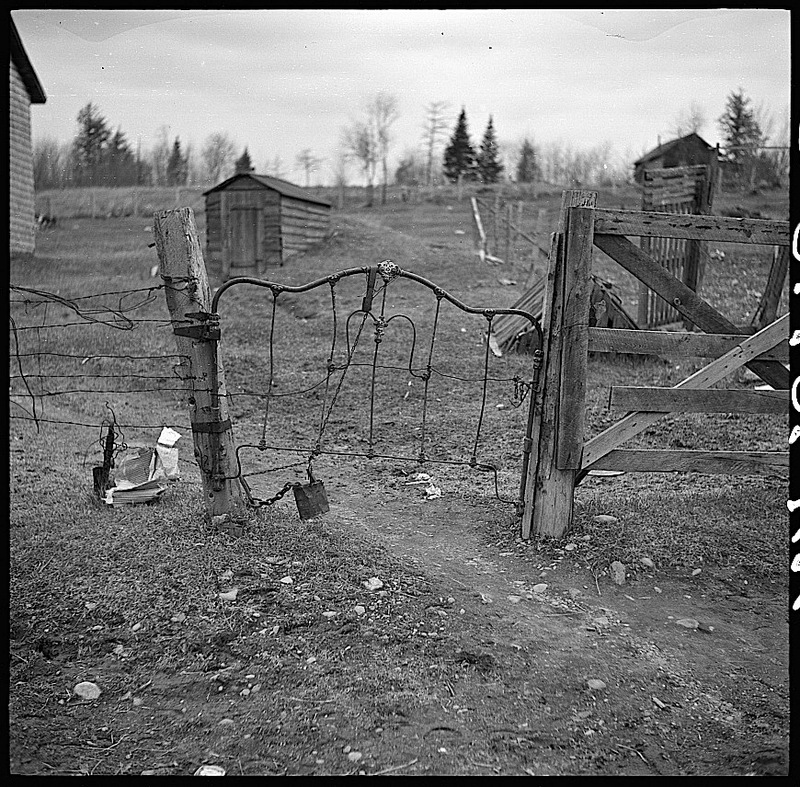 Alvin, Wisconsin,” May 1937, by Russell Lee, via Library of Congress Prints and Photographs Division. 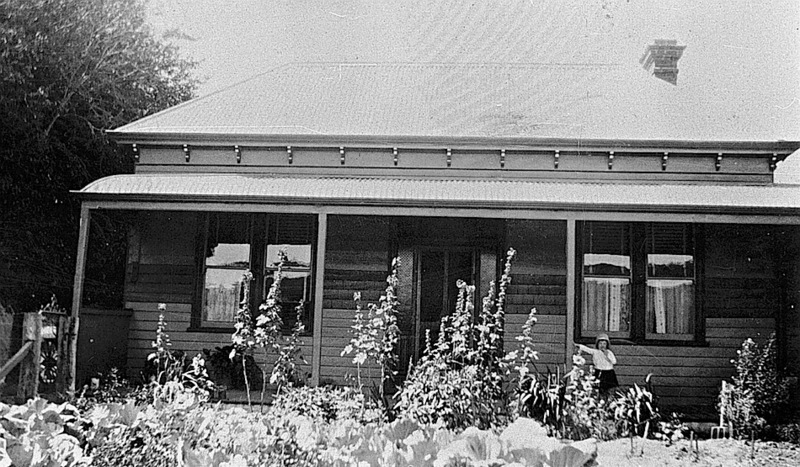 Alvin was named for one of its founders, Alvin Spencer, who had moved his family to the area in 1907. In order to submit a request for its own Post Office, the little Forrest County community where the Spencers had settled had to have a name. Alvin submitted the name of another community leader, Curtis Powell, for consideration. Curtis submitted his friend Alvin’s name. Since there was already a town named Curtis in the state, the new community was dubbed Alvin, Wisconsin. I love that they submitted each other’s first names. 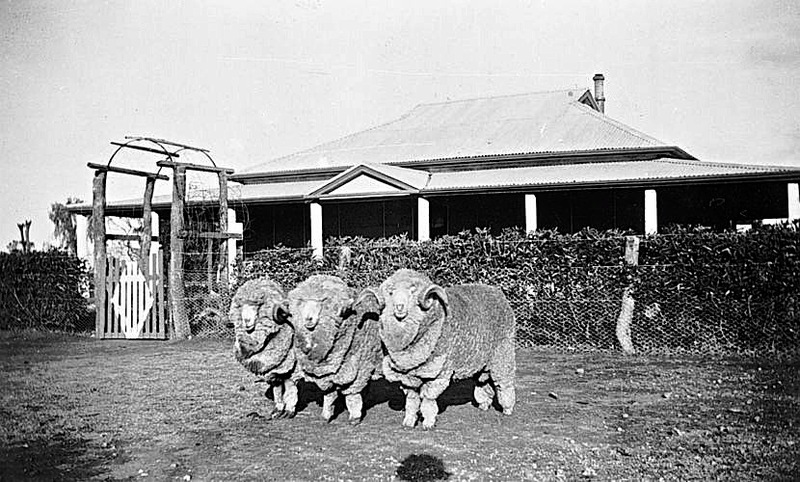 Three elegant gentlemen outside the homestead on Tyrrell Range farm, Chillingollah, Victoria, 1938, via The Biggest Family Album in Australia, Museums Victoria Collections (under CC License). 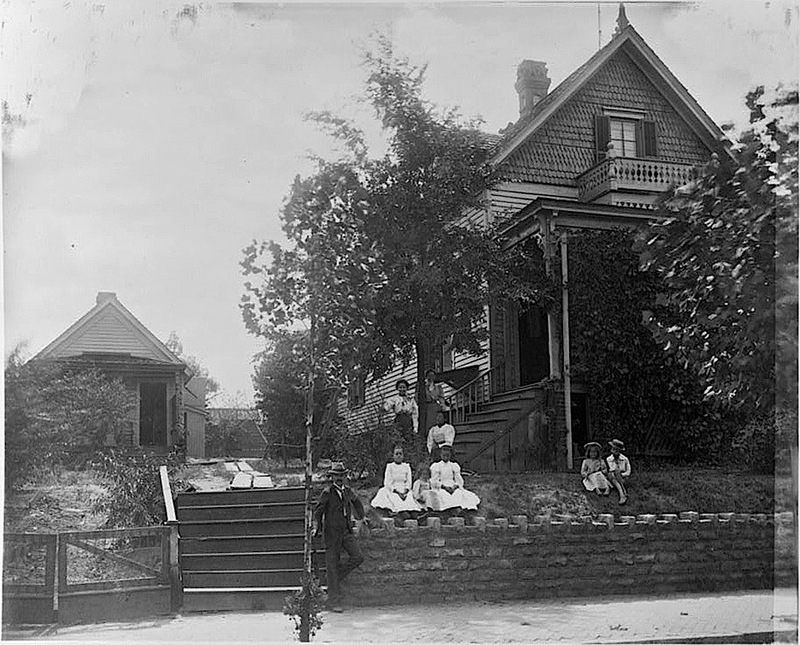 Georgia family in their front yard, ca. 1899, photographer unknown, via Library of Congress Prints and Photographs Division. This photo was in one of the several albums depicting African-American life that W. E. B. Du Bois compiled to exhibit at the 1900 Paris World’s Fair. Click on the image for a little better view. 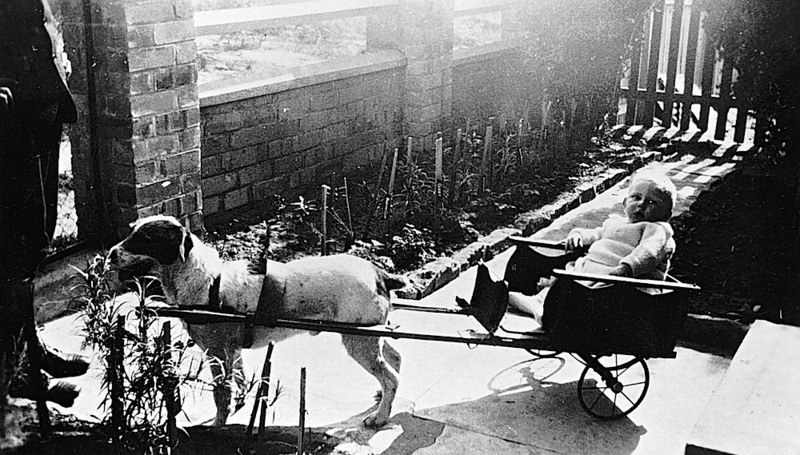 “Toddler in a Dog Cart, Victoria,” ca. 1925, via The Biggest Family Album in Australia, Museums Victoria (under CC license). The dog seems OK with the situation, but the baby is not happy. The plants in the flower beds are all individually labeled. They look somewhat like carnations.